2017 was the 50th anniversary of the famous Krugerrand, a coin popular around the world. 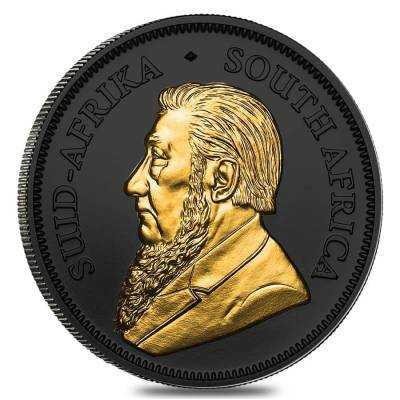 See this coin with its design uniquely highlighted in beautiful 24 karat gold set against a deep black ruthenium background. This release showcases the prominent design of the Krugerrand, but with the South African Springbok in pure gold on the obverse and the effigy of former president Paul Kruger on the reverse and the inscriptions against the black ruthenium background. 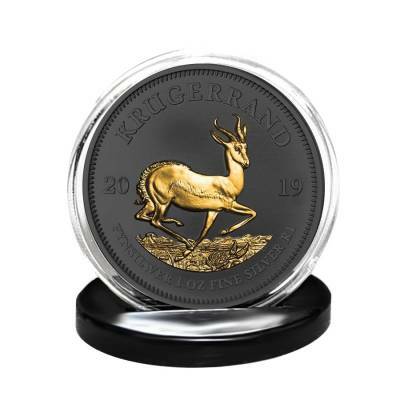 As the leading African mint, the South African Mint has more than one hundred years of production and designing experience. Their goal is to provide customers with products that celebrate national pride and the lasting culture of South Africa. Made from .999 fine silver with a weight of 1 oz. 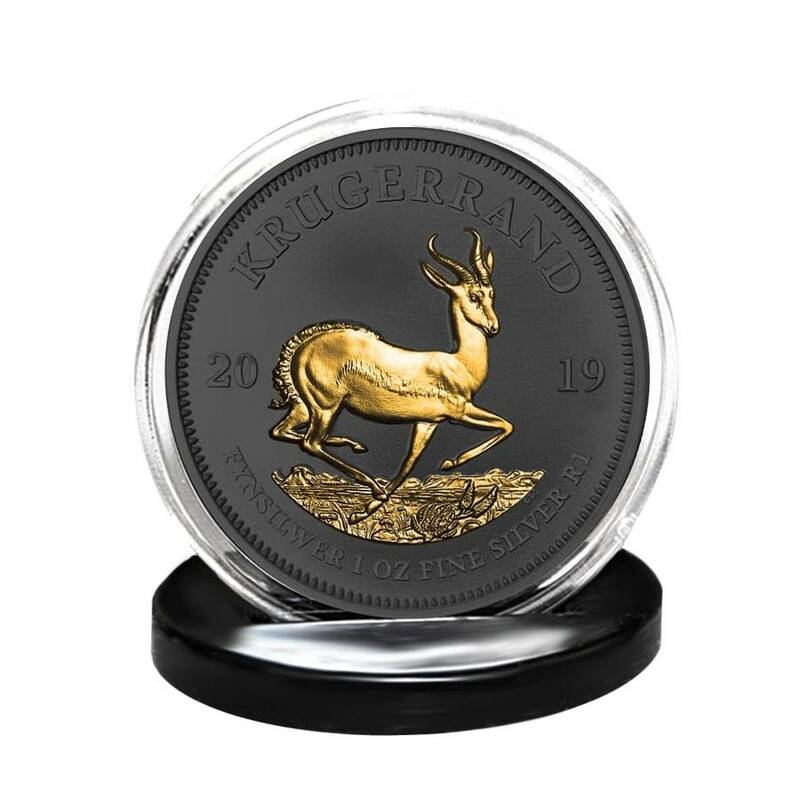 Obverse: Features a 24k gold Springbok, an antelope famous across the plains of Africa, against a black ruthenium background. 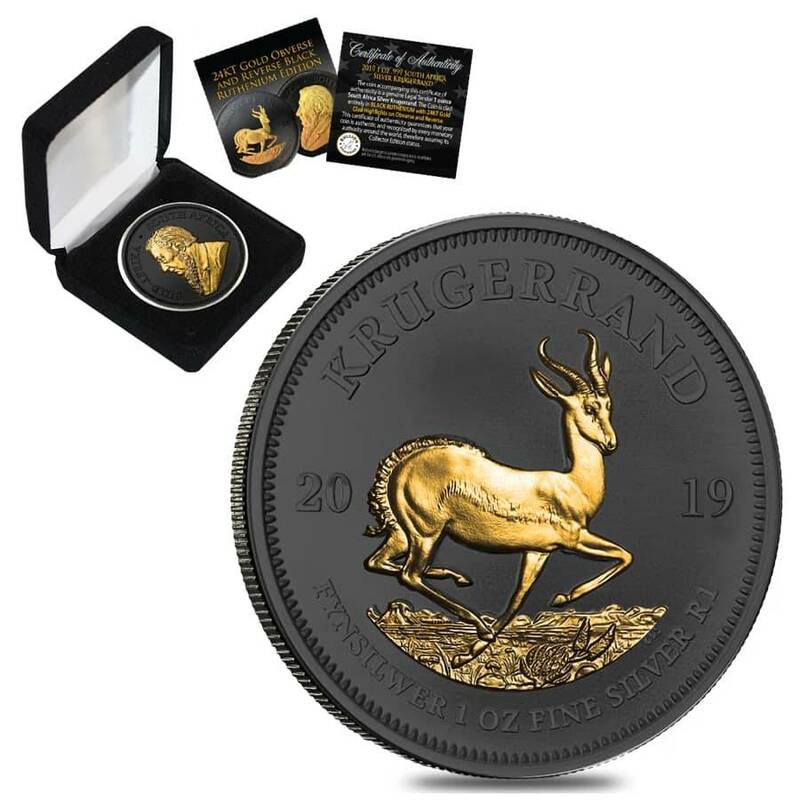 The edges are circled by the year of mintage, “KRUGERRAND”, and the weight and fineness of the coin. Reverse: Depicts the left facing portrait of Paul Kruger, one of the most famous former presidents of South Africa, in 24 karat gold against the black ruthenium background, inscribed with “SOUTH AFRICA”. Bullion Exchanges offers you a wide selection of exclusive items from renowned international refineries. Add this stunning new release to your collection today, and it will be carefully wrapped, packaged, and delivered to your address. If you have any questions, send us a message through our convenient web portal and our friendly associates will be happy to assist you. Its such a nice coin. alongside my other black ruthenium coins (9 coins now) it is so gorgeous. cant wait to show off at the coin shows. Bullion Exchanges is the best. 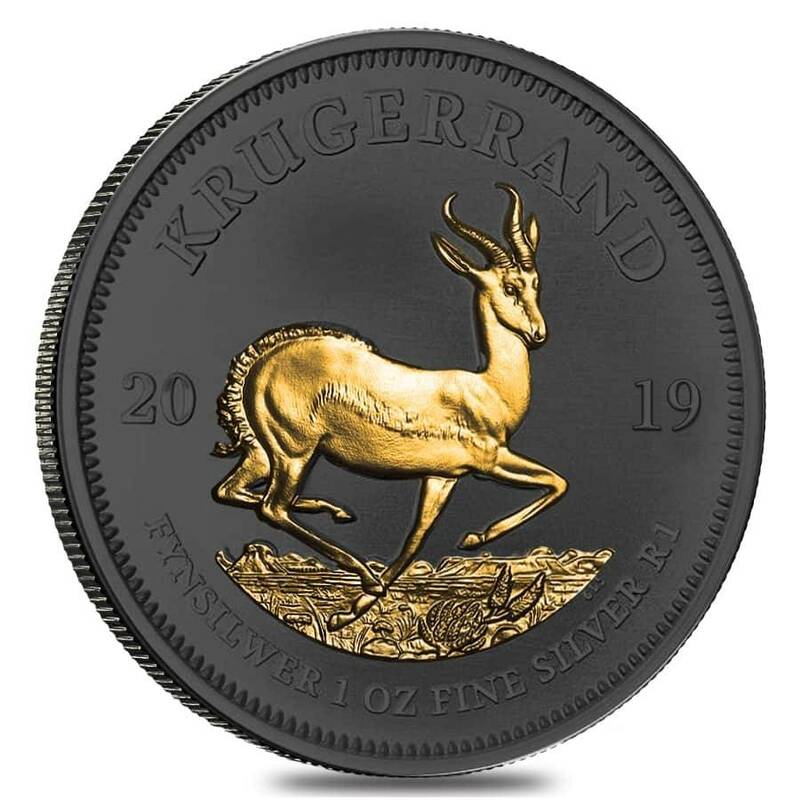 Big Krugerrand collector. thank you so much for this beautiful coin. arrived so quickly! Professional customer support, best prices, and above all, respect. I buy and trade gold primarily, but love the black ruthenium specialty pieces for my personal keepsake. Thank you BE. Item is available and ready to ship! With this purchase, you earn 65 Bullionaire Bucks 65 BB = $0.07. We currently have 32 of this item in stock. For every $1 spend, you will earn 1 Bullionaire Buck which is equivalent to $0.001 off a future purchase. 65 BB = $0.07.